Built, burned down and built again has been an ongoing theme over the years for the buildings on Jefferson St in downtown Huntsville. 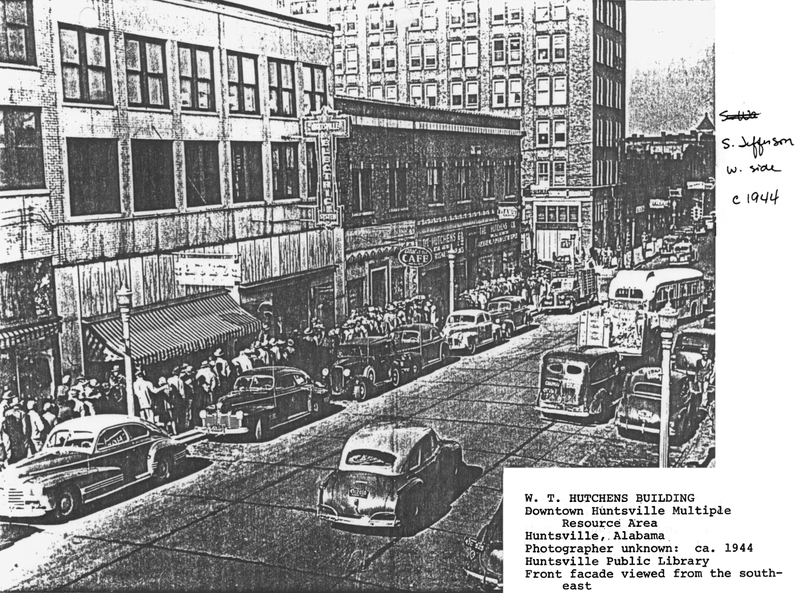 In fact, the stretch of Jefferson St located between Clinton Ave and Spring St was once home to one of the most luxurious hotels in all of Huntsville, The Huntsville Hotel, City Hall, and the Old McGee Hotel, among a myriad of other businesses that have come and gone over the years. But it wasn’t until 1916 that the corner of Jefferson and Clinton was developed by W.T. Hutchens into the structure that still stands there to this day. Possibly better known as the President of Huntsville, William Thomas Hutchens was a central figure in Huntsville in the late 1800s. Founder of the Hutchens Company, one of the oldest still extant business in Huntsville, he not only served as president of Huntsville from 1893-1897 and then later Mayor from 1920-1922, but also as the city’s Postmaster from 1898-1914. 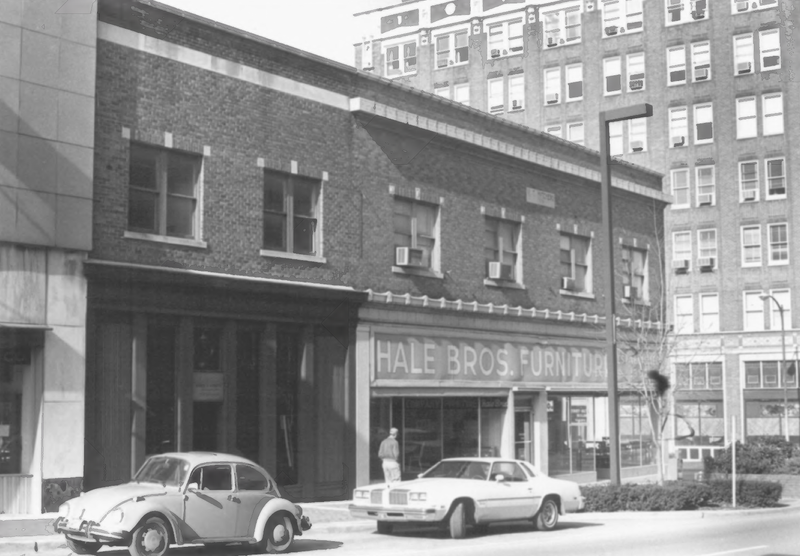 The building, which was to house the Hutchens Hardware store, was constructed in two phases by an unknown architect. The first phase included the development of the corner lot for the hardware store, and then a middle store which originally housed a movie theatre. Then in 1921 an addition was added to the structure creating a third bay. Built in the early commercial brick style, the building departed from highly ornamented, vertically-oriented Victorian styles, and instead emphasized horizontal orientation by using strong horizontal courses and shorter, wider windows. And whereas the majority of similar structures relied on flush masonry or brick courses, the W.T. Hutchens building incorporated projecting, patterned terracotta cornices, which imparted a distinctive presence that was unusual for buildings its class. 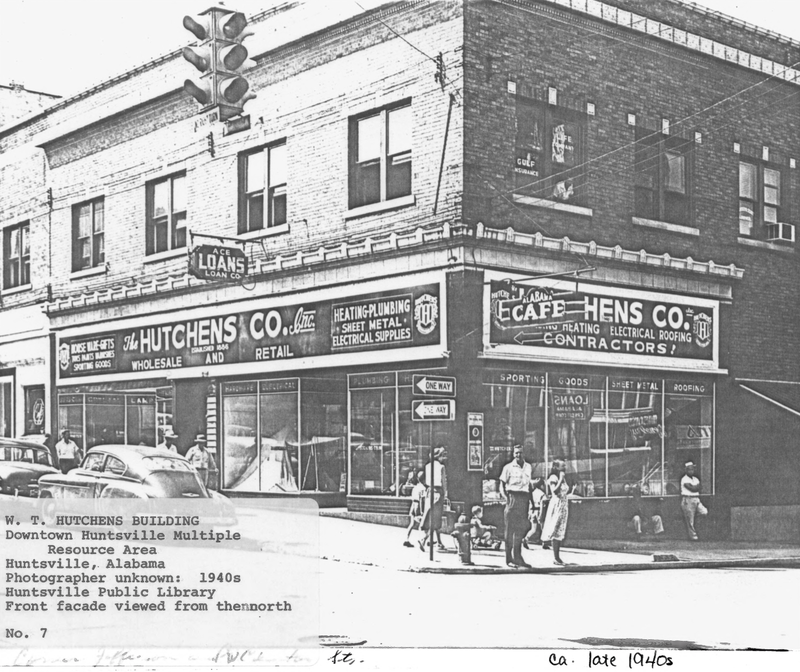 By the late 1930s the theatre had gone out of business and the Hutchens company expanded its business into both storefronts, retaining the hardware shop in the corner building and opening a gift shop/housewares store in the middle portion. Finally the the Alabama Cafe took up residence in the first floor of the building’s addition, where it remained for many many years (the facade of which never matched the adjoining stores). With retail on the first floor, the second floor of the structure was dedicated to office space, except for the section above 104 Jefferson and The Alabama Cafe, which was built as an apartment for the Hutchens family. Originally to gain access to these office suites, the corner bays were divided into two storefronts, separated by a sidewalk door that would lead up to the second floor suites. As the years have passed, and the first floor retail has come and gone, the building is now once again under redevelopment and we can’t wait to see what is next for the story of this beautiful building! Researching and sharing the history of buildings in our beautiful Downtown area on this blog has become one of my favorite things to do. I love digging into history and getting to tell forgotten stories that help to reconnect our past with our present. Born in 1863 Samuel H. Kress was the second oldest of seven children descending from German and Irish immigrants. As a child he worked in the stone quarries until the age of 17 when he earned his teaching credentials which enabled him to begin work as a school teacher. Unlike most businessmen of his day, who chose to open stores in large developed urban areas, Kress made the unique decision to locate the bulk of his stores in smaller cities across the US that he felt had potential to grow. 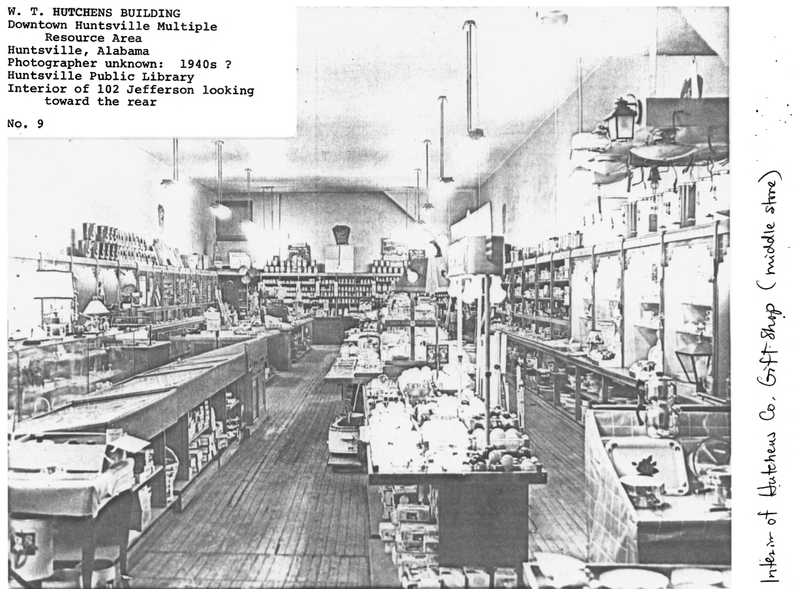 The stores he built in turn became the jewels of many of these small cities, most of which had only a dry goods or general store as their main retailer until that point. However, these buildings would never have become the iconic city jewels they are without the work of one very important man: Edward F. Sibbert. Born in 1889, Sibbert was a brooklyn-born american architect. And at the age of 35, after starting his career in Miami during the great Florida land boom of the 1920s, Sibbert returned to his hometown of Brooklyn where he answered an advertisement in a local newspaper. Kress, who was in the process of dismissing his head architect at the time, George Mackay, hired Sibbert as chief architect for S.H. Kress & Co. And over the next 25 years the two would design a chain of stores spanning the United States, iconic for their consistent format and style, and instantly recognizable by their use of ornamental terra cotta. One of the 20th century’s most prosperous variety-store retailers, with just over 200 locations nationwide S.H. Kress & Co may never have been the largest retail chain, however it did manage to hold the record for highest per-store sales of any five-and-dime in the country for more than 20 years. The reasons for this were simple, for Samuel H. Kress, his stores were always more that just another five-and-dime. Instead, he envisioned his stores as works of public art that would contribute to the cityscape. And the creation of an architectural division within his company played a key role in both attracting customers and facilitating sales. 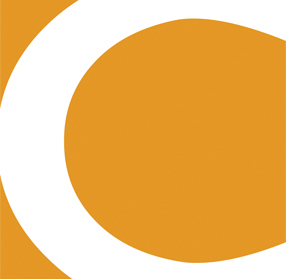 Kress received retail branding success not merely through standardized signage and graphics, but through distinctive architecture and efficient design. Regardless of their style, from elaborate Gothic Revival to streamlined Art Deco, Kress stores were designed to be internal parts of their urban districts and helped define Main Street America. Huntsville was little more than a village for many years until the erection of Dallas Mill finally gave the Huntsville economy a solid base and spurred construction activity. By the year 1900 commercial development was well underway, but it was not until the 1920s that retail development really saw it’s boom. It was during this decade that national chain stores such as Penny’s, Sears, Wards and S.H. Kress & Co. began to open branches here in Huntsville. Designed by S.H. Kress & Company’s head architect Edward Sibbert in the late 1920s and finished in 1931, the Downtown Huntsville Kress building is one of the finest examples of art deco architecture in Huntsville and since its construction has become an integral part of the fabric of the Downtown Huntsville area. Washington Street during the 1950s. The Kress building is just visible on the other side of the old Lyric building. As a final note, if you are interested in leasing space in this historic building, our company actually has some space listed on the second floor! You can find all the information for that listing HERE. And again, if anyone has anymore details about the history of the Huntsville building specifically, feel free to drop me a note, I would love to hear them!